ATTENTION : This post was written in mid-2012, when the writer was still a student of KTJ. After she left in July 2012, there have been changes around the school which she might not be aware of, such as the changes in the timings and uniforms and such. The writer is not responsible for any problems that might arise regarding the information written here. Please do note that the writer has no connections whatsoever with the administration of the college, therefore she has no idea on how the fees might have changed over time. Please do consult the school directly by clicking HERE to get the correct information. This is an entry dedicated specially for future students of KTJ. Those who are chosen by Bank Negara Malaysia and Petronas to come here to read A-Levels before flying off to universities to pursue their studies. Those who are looking for colleges to continue their education. Those who are seeking for more information about the college other than those stated on the college’s website. If you are in one of the above category, then this post is for you. Enjoy. I’m not going to write about all the formal stuff ’cause the website pretty much describe the whole lot of it. So I’m just going to write from a student’s perspective. 1. A-Levels students in KTJ are called the Sixth Formers. 2. Juniors in KTJ refers to those who are below 16 years old, normally Form 4 & below. Seniors, Form 5 & above. 3. Though the name states that it is a ‘College’, technically it’s a school. So the students, despite being in Sixth Form, have to follow the rules, have ‘bedtimes’ aka lights off and all. Boarding houses. 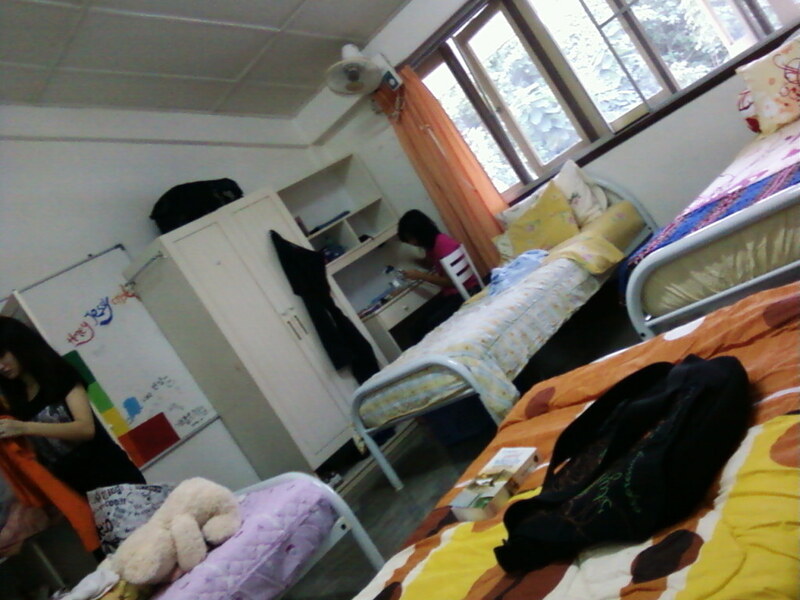 There are 8 boarding houses (we call them house for short) here in KTJ. There are four houses for the senior boys, three houses for the senior girls, and one house for the juniors (both boys & girls) The four boys houses are Nadzaruddin (NAD), Imran (IMR), Naquiyuddin (NAQ) and Nadzimuddin (NAZ). The girls houses are Alia (ALIA) , Irinah (IRI) and Jawahir (JAW). The junior house is called Naquiah (NQH). As you can see, every houses have their own short names to make it easier to fill in forms. Every houses also have their own reputations, probably something that they are good in. For example, in Imran, you’d see a lot of guys who love to work out at their balcony almost every evening. Naq is famous for being the best guy house in the school. Irinah (that’s my house!) is known for being the strictest house around, alongside Naq. Nqh is called the ‘baby house’. Alia -> the new house, since they started in 2010. Each house have their own building. It’s like a small flat, as you can see from the above picture. The above is only for Jawahir & Irinah. Alia is almost the same, except that their building is much, much newer. The boy houses are almost the same, except the fact that they have the corridor outside (while the girls have it inside) and they have a balcony each. Nqh is like the above, only that their building is divided into two parts. The part on the left is for the girls, and the one on the right is for the boys. The inside of Irinah house. Food. Food. Food. You’ll never seem to get enough of this thing. Okay, the food in KTJ is provided by the dining hall. There’s an Asian menu and a Western menu. So you can choose whichever side you prefer. For Asian, you can find food like nasi lemak, roti canai & dhall, chicken curry and the kind. For the Western side, you may come across fish & chips, mini pizza, spaghetti, cottage pie & many more. During break time (recess), after school and social hour (will be explained later), you can get food from the Tuck Shop. Sometimes referred to as The Zone, it mimics a convenience store as it has all the things that you need (well, almost) It has foods, beverages, soap, batteries, snacks, ice-creams, and even top-ups for your phones. So the tie is to be worn on every Mondays when there is assembly, and it should be worn until break time (11:10am) After that, you can take the tie off (unless you’re a prefect) The blazer is to be worn at the first and last assembly of the term. 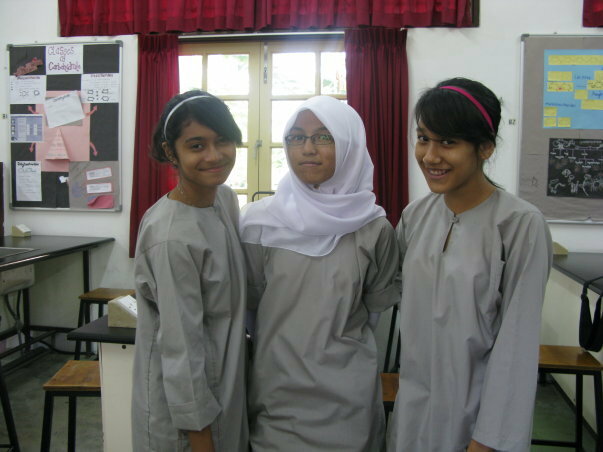 On Fridays, Muslims have the option of wearing baju kurung and baju Melayu to school. 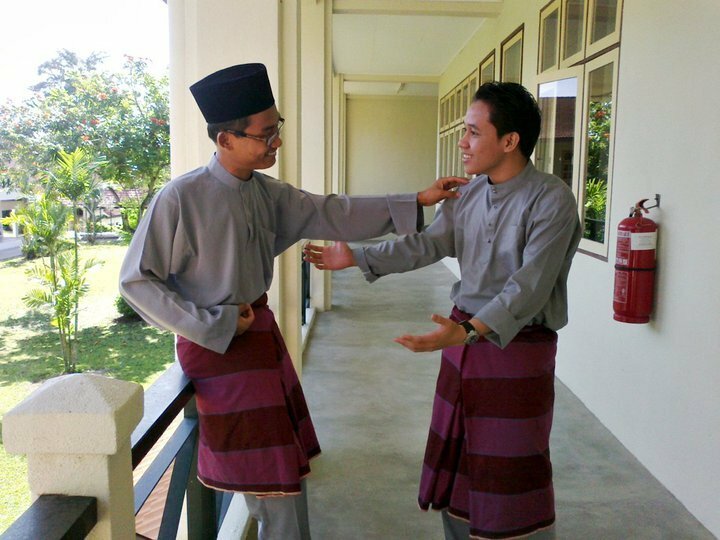 Baju Melayu for the guys. This is the current routine in KTJ. It might change a bit in the future, depending on the administrators, but for the time being, just refer to these timings. Breakfast starts serving at 6:45am (Mondays and Fridays) and 7:00am (any other days) Class starts at 8:30am (everyday except Fridays) and 8:00am (Fridays) Each period lasts for 40 minutes. Break time is at 11:10am except for Fridays (10:40am) and lasts for half an hour. Two periods of lessons continue after break time, and then it’s time for lunch at 1:00pm (12:30pm on Fridays) Lunch lasts until 2pm (everyday) and classes continue until 3:20pm. ECA (Extra-curricular Activities) and Games (Sports) are divided into two sessions. First session is at 3:45pm to 4:45pm. Second session is at 5-6pm. So, depending on the ECA’s and games that you choose, you will have different timetables for your evenings than your peers. For example, a badminton addict (like my current junior) might want to take five badminton sessions, one for each day. So every evening, she would spend an hour or more at the hall playing badminton. Dinner is served from 6:15pm – 7:20pm. By 7:30pm, students are required to be in their houses, preparing for prep time. First prep is from 7:45pm – 8:45pm. After that we have a half hour break called ‘The Social Hour’. This is normally the time where you’d see couples meeting each other, talking and sitting in front of Imran and Nadza (the ‘Couple Road’) During social hour, you could also visit the Tuckshop if you are hungry and want to buy some food. Not everyone though will go out during social hour. Some people prefer to stay in their rooms and study, while others play games. Some use this time to take a shower, do laundry, watch TV, etc. It depends. And then after social hour ends, 9:15pm is time for second prep. Second prep is for the seniors (Form 5 and above) At 9:45pm it is bedtime for the juniors in Naquiah. At 10:00pm, it’s bedtime a.k.a lights off for Forms 3&4. At 10:30pm, it’s lights off for Form 5. For Lower 6 (students in their first year of A-Levels), lights off is at 11:30pm, and Upper Six is at 12:00am (though people would rarely check on them) You can ask for extension of bedtime if you have a lot of work to be done and there’s not enough time to do it during prep time. Extension lasts for half an hour. The morning is just the same as on a Tuesday. Breakfast is served at 7:00am. Class starts at 8:30am. But instead of ending at 3:20pm, classes on Saturdays end at 1:00pm. After lunch, you are basically free to do anything you want. Sixth Formers are allowed to go out for ‘outings’ if they wish to. They can book a taxi, take a KTM ride to town or go back home for the night. Normally, on Saturday nights, there would be an event in school called ‘The Saturday Night Events’. It could either be a show, a play, a concert, etc. It depends on the time of the year, and it varies throughout the year. Breakfast is served at 8:00am until 9:00am. 11:00am to 12:00pm is Quiet Hour. (It’s almost like prep, but less strict) Lunch is served from 12:30pm to 2:00pm. And, you have your evenings off. Some Sixth Formers like to go out on Sundays. Others stay back in school. Sometimes they have activities in the school, i.e. a carnival, a sale, football matches, etc. Prep time is as normal on Sundays. Whoever says that the Malay students in KTJ are a minority, they are so wrong. We might be small in number, but we are united. (Y) Acehh, okay, poyo -.-‘ Yes, there are actually a lot of Malays in this school, except that some of them don’t look Malay at all because they’ve been brought up in a different environment. Most of the normal Malays (note: by normal I meant brought up in a Malay environment) are mostly the scholars, BNM and Petronas scholars. Whether you’re a Muslim, a Buddhist or a Christian, there are religious groups here in KTJ. There’s the KTJ iSoc (Islamic Society), the CF (Christian Fellowship) and the Buddhist Society. If you need to go to church every Sunday, there are vans going to the church, taking students along. For Muslims, there is a main surau between Irinah & Imran. Every boarding house also have their own surau for prayers. The main surau is used for talks, seminars and important events (iSoc meetings, etc) We have jemaah prayers for Subuh and Isyak. The guys normally pray Zohor, Asar and Maghrib in jemaah too, but for girls, we normally go there for Subuh & Isyak only. Sometimes we invite speakers from outside to come and give a talk. This year (2012), we’ve had Imran Koyube from iLuvIslam.com to come in for a session. We’ve had a representative from Aqsa Sharif to come in and talk about the issue of Palestine. So. Worried about what are the types of games available here in KTJ? Well, don’t be worried. It is completely up to you which ECA’s and Games you want to join. Just for reference, here’s a list of ECA’s available in KTJ. And for the games, KTJ offers a wide range of sports you can choose from. We have the normal netball, basketball, football, rugby, tennis and badminton. We also have water polo, swimming, yoga, weights, golf, cricket, fencing, karate, taekwondo, squash, table tennis, futsal, volleyball, cross country, hockey and softball. So, I think I wrote long enough about KTJ. It is quite impossible for me to write everything about the school. The only way you’d get the full experience is by coming here and experiencing it yourselves. If you have any further questions, feel free to drop a comment or two, and I’ll try my best to answer them. Alright then, until next time, Assalamualaikum! Good night everyone! breakdance?COOL!is there a teacher for this? if i may ask, are you studying there under any scholarships? Or you just continued studying there after taking your spm without any scholarships? Anon, I’m on a partial scholarship from KTJ. 25% off my tuition fees. And now I’m in the process of appealing to the MOE to allow me to use my bursary here in KTJ. Oh I see. The bursary that you’re talking about is the one that JPA offered, right? And how did you managed to get the partial scholarship from KTJ? *im sorry if im asking too much, out of curiosity, i guess =)* btw, I’m one of the BNM scholar but unfortunately I’m not going to KTJ for my A-level. The way you described KTJ is so awesome that I wish I could do my A-level there.. What’s your plan after finishing A-level? Yup, I’m going to Taylor’s campus in Subang Jaya since I chose UK for further study. Some scholars got into Taylors lakeside. Haha, btw my name is Zarith Sofea but I don’t think you know me. Looks like we could only get to know each other by using your blog. If I’m not mistaken, if you choose MORSE than you actually want to be an actuary right? oh, ade air conditioner ke at every boarding house? I’m planning to further my A levels here, so I want to ask about the internet connection, freedom to go out and about my use of my own car cause ill be going to school via my own car and stuff. Hmm, internet connection, there is the school wiFi, it’s okay, I guess, limited from 8am until 11:30pm, if I’m not mistaken. Connection quite good, sometimes slow, faster during holidays and exeats. I got a scholarship from KTJ for the two-years I was there for my SPM. Macam mana nak apply sekolah ni? First of all , thank you for all the information you gave !!! It means a lot to me ! Is life there stressful ? Because the way you describe KTJ sounds fun . Are the people there friendly ? I will be studying there when I am form six , currently form 4 . No problemo. Stressful? Hmm. Not so, I think. It depends on what type of person you are, and how you plan your time. If you’re good at managing your time, then it wouldn’t be a problem at all. Are you in Sixth Form ? You are taking STPM or A-level ? Hi there.. I’m staying at Kajang and i pass by KTJ’s signboard everyday on my way to work. If i’m not mistaken there’s a KTJ primary school as well? My daughter is only 4 years old, but can you enlighten me on how to prepare her for KTJ? Appreciate if you share with us the fees/scholarships etc. Hi there, i’m staying in Kajang and i pass by KTJ’s signboard on my way to work everyday. If i’m not mistaken there’s a KTJ primary school as well? My daughter is only 4 years old and this is my long term planning. Can you share with us what the fees are like? And how can i prepare my daughter for a school like KTJ. hi . how’s the people there in KTJ? If I have to go to like a concert which doesn’t end soon on a like a monday night or a weekday, will I be allowed to go until the it finishes or do I have to come back in a specific time? For kjt now will they accept me? cause it kinda in the middle of a. School yr.
I’m in a similar situation as the person above but I’m in Year 11. I’ve just done my Mocks and received my results of 4A*,5A,2B. Do you think I have a chance of getting a scholarship? How about the scholarship there ? Is the scholarship has limit for only one semester ? If there is , can we reapply for the next semester ? Hi there. The scholarship normally covers the whole of the A-Levels or (where applicable) SPM studies (Forms 4 and 5). My school made a study tour to KTJ last month. It is a great place to be! I wish I could go there with a scholarship :). I’m going to meet a staff there this week. Do you know what is the nearest train station to KTJ? How do I take public transport from KL to KTJ? Your reply is truly appreciated. Great post and I like it very much. Would you know whether KTJ offers A levels scholarship for their own SPM students? Also, can KTJ’s SPM students apply for the KPM bursary later on? Thanks and I hope your A levels is going great!! Thanks for clarifying and take care! Laundry service as in ‘perkhidmatan dobi’. It’s included in the boarding fees as well, so you might as well use it while you’re there. So basically what you do is that collect all the clothes that you want to wash in this colored bags (each house gets a different color), fill up the laundry form, stating the clothing that you’re sending, write your name & student number (I think), and leave it in the designated shelf in your house’s laundry room before 8am in the morning. Someone will come and pick the dirty laundry up every weekday (and Saturday too, I think, I forgot). They’d wash them and fold them, (and, if you’re lucky, even iron your uniforms before folding them), and put them back in the bags. You’d get them back after school two days after you send them to the laundry. 1)as a sixth former will i be able to leave the compound on weekdays? Actually my relatives are staying nearby Mantin itself. 2)Also by what time will i need to be back? 3)Saturdays and Sundays should be no problem going out right but by what time do i need to be back in KTJ? 4)going home on Saturday and returning on Sundays would be fine? 5)Its not possible to study there but stay at our own home right? Yes, it is possible to stay at home but come here to study, you’d just become a day boarder then, meaning that you would only pay for the tuition fees and not the boarding fees. Going home on Saturdays and returning on Sundays before 9 or 10pm is also fine. Any going out or outings should end by prep time (weekdays) or 9/10pm (weekends) unless you get permission from the housemaster/housemistress to return late. It’s okay sis/bro, I feel ya. I was forced to come to KTJ in the first place. It was against my will and I spent two years hating my life there. Come post-SPM, life started to get better. I know that sometimes, what we want is not the things that we would get. I’m sure you’re doing well now where you are. God has definitely placed you there for a reason, He Knows what’s best for you. Perhaps, if you have came here, there might be some complications of some sorts, who knows, right? I’m going to study her in ktj this coming August.May I ask that are we going to use more of textbooks or electronic devices like ipad or handphones in classroom? If we need textbooks,where can we get them? Also,it’s like that.I’m going to pursue engineering course after my alevel course.So I’m thinking that I might take up further math as the forth subject. (The other main three are Phys,Cheme and Maths). May I ask that the former students(which are my seniors),do most of them that wanted to become engineer take up further math as well? Do we have consultation hours for the particular subject? Textbooks would be used in classes. Normally the seniors would just pass down the books to the juniors, so it’s pretty easy to get them. Some textbooks would be provided by KTJ, you’d just have to pick them up from the Kolej shop later. Hi syaza, sonce when you masuk KTJ? Since form 4 ke? Mahal tak kena bayar masuk KTJ? The price that you mention is inclusive of school fees + Boarding fees per month. Beside of O Level and A Lever can we also sit for SPM, if yes are they conducting any classes. Is that a question or a statement? But yes, it is inclusive. But it might have changed, so don’t take my words for it. Yes, SPM is available, but only for the next few years. 2012’s (or was it 2011?) Form 1 class was the last batch, I think. So their batch would be the last to take SPM. I was thinking of taking my a-levels at KTJ next year.But I was wondering if di I have to start applying for the school now or can I apply after my SPM?Do they only take selected students in? Oh my God, so sorry for the late reply. You can apply after SPM, or probably after your trials, so then you can try apply for their A-Levels scholarship as well. It depends on you whether you want to join the January intake or the August intake? January intakes would then mean you’d be flying off in September of the year after that, whereas August intake meaning you’d fly off two years after that. Basically, the school is awesome 🙂 there’s one more thing.. are they any requirements to enter the school like maybe, 5A’s in UPSR or 8A’S in PMR? Could you please list all the subjects that taught in the school? Assalamualaikum. Hi there. I have a few questions to ask. 1. How can I get the schsp? 2. Is my father’s occupation affect the chance to enter this school? 3. What is your father’s occupation? Sorry if there are too many ques. Glad to know the answers. 1) When you’re applying to the school, just let them know that you’re interested to apply for the scholarship. They’d see if you fulfill the requirements and will help you with the process. 3) My dad’s a doctor. This blog post has so much more information I can get off the website. Anyway I was wondering how much does KTJ offer for the sports scholarship. Is it 25% or partial (or maybe even full)? Yes, you can keep your phones the whole time, just you’re not ‘supposed to use it’ after lights out (technically you’re supposed to sleep). Just keep it in silent mode so you wouldn’t be disturbing anyone else. And yes, A-Levels students would get a double or single room, though there are some people who got triple rooms with other A-Level students. What are the total fees for A-Levels at KTJ? Hey 🙂 As A level students can we go out after school ends? Or only during weekends? We need to inform the school right but will the school call our parents for confirmation or something? and can we request for a single room? When I was there, tuition fees was about RM7500-9000 per semester, and boarding fees is about the RM7000-8000 per semester as well (including laundry services and all). You can go out if you have your housemaster/mistress’ permission to do so. And no, they wouldn’t call your parents or anything. A-Levels students are allowed to go out on their own. And rooms are assigned to you. Most probably you’d get a double/single room, but in some cases (odd number of students), some might get a triple room. Yep, they’re pretty strict on the hair dye and stuff, so it’d be best to die it black before coming. Unless your hair’s naturally blond, then that’s fine. But most of the time they’re strict about hairs and all. Hello there! It was interesting reading your blog esp on KTJ. I’m planning to enrol my son for the Aug 6th form intake (2014) and I was hoping you could oblige with some answers! 1. During your time, what was the quality of the teachers at KTJ? Were/Are they knowledgeable and able to teach? What was the percentage of great and inspiring teachers eg, 70% of the ones you had? Was KTJ able to attract the best teachers? 2. My son is enroute to the USA too (prob California – my bro-in-law lives there). What did they teach you for the SATs? Do they only make you do past year papers or do they actually teach relevant content? 1) During my time, it was mostly for high school, and not for 6th form, but from what I’ve heard, the 6th form teachers were good. The ones I had for my short, six-months of 6th form were brilliant, and I adore them so much. I guess if you only count the 6th form teachers, it’d be a high 85%, probably? Even when I was just a Fifth Former, I’ve known most of them around school, and they were great and friendly. Is there a chance where I apply for A-levels in KTJ and not get in?Can I apply for PTPTN loan to study here?Where are you studying now?I’m undecided about my future,really.Or should I do IB?If I do well in my A-levels and get accepted into a prestigious uni later on will I have to pay for that or is there any scholarship available? Anonymous, I don’t know about the PTPN loan. And yes, you’d have to pay for your university unless you get a scholarship. It’s up to you whether to do A-Levels or IB. Hello, I’ll be joining KTJ for A levels this August, and I’ve been searching on google for more information about the school as I’m really scared and nervous that I might not fit in or anything. I’ve been studying in the same school for 10 years and going abroad, especially for a boarding school is pretty scary, and I’ve had the same friends since I was 6. But I don’t have any other choice as its because there are some problems in my family. Reading your post made me feel a bit better and this is what I wanted to read about the school for the past 2 months. Thank you. are the people friendly there? salam. i have a friend who went to KTJ this year in january intake for A-levels. eversince that, i’ve been thinking to do my A-levels at KTJ too. but i couldnt find specific requirements for SPM leavers regarding the admission. for example, how many A’s or credits i should at least get to qualify myself and do they accept students who got B in any subjects in SPM. your blog have really helped me to understand better but i really hope you could answer my questions.thank you:)sorry that i asked too much.hope to hear from you soon. They don’t actually have a specific requirement for A-Levels students, as long as you do relatively well in your SPM, they’d be okay with that. And yes, SPM students with B’s are also accepted. do a-level students need parental consent to go out on weekends? what does the tuck shop sell? just food? is there anywhere to get stationery/toiletries if you run out or would you have to go out to get them? A-Levels students will only need to fill up a form at the start of the year (with signature of their parents), stating that their parents are okay with them going out on weekends. Thanks! Wow, that was quick. First thing’s first, congrats for your Petronas offer 🙂 You’ll be fine, don’t worry about it. Scholars and non-scholars are the same in KTJ, as long as you put in the effort to join in and be friends with them. Be open to everything, even if it’s not what you’re used to (remember that KTJ is an international school so things may be a little bit too ‘social’ but just be chill and you’ll get used to it). hi alya nabilah I’m sorry for disturbing you , can i ask a few questions , are you still in ktj for this coming august? . I’ll be entering in july and I’m really scared. i hope ull notice this and reply me. So i was reading the KTJ blog the other day and fell in love with the school! i’m planning to apply for the scholarship for January 2015 intake. i heard KTJ accept both of malaysian students and international students. but i graduated this year, but my school didnt have an international qualification. my school is a private school but non international curriculum. do you have any information about this? can i apply for the scholarship? Hi, I was just wondering whether the scholarship provided by KTJ for A Levels will cover only the tuition fees or together with the boarding fees? Hi 🙂 I’m going start soon in KTJ Im not really familiar with the boarding school here in Malaysia, as i lived in Egypt for a while before (One of friends i met there was Putri Nadhirah, maybe you know her) so i would like to ask a few questions if you dont mind. 1) How does the Laundry service work? 2)Do you know anything more about NAQ? 1. You won’t die. A lot of people take up Physics, Chemistry, Maths and Further Maths and most of them survived to tell the tale 🙂 Amount of work will depend on your teacher(s), but usually it’s pretty much tolerable. Sixth formers (aka A-Levels students) will get some free periods normally, so you can use that time to finish off some work in the library / study room / your room. There’s also prep time at night for the students. Sixth formers get a later bed-time / lights-out time, so you have more time to work/study. 1. Its because I heard people say that even when people get A* on the subject in GCSE, they end up having D’s for A levels. So I’m scared :s. What makes them difficult though? 1. Well, if you take for granted that A* you get for GCSE and begin to slack off during A-Levels, that’s a very poor move on your behalf. If you get too complacent with your achievements in GCSE and think that you can score well in A-Levels without putting as much effort, you’re in for a hard time. A-Levels is relatively hard (and boring in my part), but as long as you consistently put in enough effort and hard work into it, by doing your work and tutorials and completing past papers and all, you’ll be just fine. 2. NAQ used to be called the best guy house in my years, since they pretty much always win every single tournament/inter-house competition between the guys’ houses. Basketball, athletics, soccer, you name it. It is strict because the house master / wardens / etc are pretty much strict on the rules, that’s basically it. Is it allowed to use cellphone? Bc like in another boarding school, they are not allowed to use their phone. 1) Outside the boarding houses. 4) At the dining halls. A time where basically you sit down at your desk and study / do homework. Can we go out in every weekend? Theoretically, yes. But sometimes your housemaster/mistress may say no if you go out too much. Is the scholarship applicable for Chinese? And may I have more information of the scholarship. TQ…..
Hi, I’m thinking of taking my A-Levels in KTJ this year, & I’m quite confused whether I have to apply to enter KTJ first then apply for the (KTJ)scholarship or do I have to apply for the scholarship first then apply to enter KTJ? hi , assalamualaikum. I’m considering to take a levels there, but I’m worried about if i might not fit in. the students there seems very social , and I’m the type who is socially awkward around ppl, shy , and don’t talk much , and I’m always scared for no reason. I’m afraid ill be a loner there w no friends . is there any racism going on there ? do u think with my kind of personality , can i ever fit in? . i want to surround myself w religious ppl. do they have usrah meeting often there ? There are social and less social people there, so you’d be fine. You don’t have to participate in the social events if you don’t want to, it’s certainly up to you. And yes, they have usrah there as well. Hi, i am currently doing my A-level in ktj. I managed to get the 9A+ bursary and i want to try applying to the MOE to use my bursary here in ktj too. Did you get to use your bursary in ktj last time? Have you heard of other similar cases? Hey, congrats on your results! I doubt they would allow that, since they’re pretty set on the colleges they would sponsor. A few of my friends left KTJ for that same reason. Hi! I managed to get KPM bursary too and I wanted to apply in KYUEM but it was not in the list. Just wanna know if anyone appealed successfully to use their bursary in other colleges not sponsored by MOE? Any successful cases? I haven’t heard any cases among my friends in which their appeals were successful, but my year was the first year the bursary was available, so things may have changed since. My son has got a placement in KTJ for his A level starting in August. What is the procedure of allocating houses? Can we request for a specific house? Is there any house that is not good? how are children allocated to rooms? Do they have 1st time 6th formers and 2nd year 6th formers mixed? Firstly, congratulations for your son! A-Levels in KTJ is a good program and I wish him all the best in his studies there. As for houses, the administration will usually take into account the student’s preferences. There should be a form that he can fill up that asks him for his interests, hobbies and other things like that. For boys, there are the four houses [Imran, Naqiuddin, Nadzimuddin and Nadzaruddin]. All four houses are good in their own ways, and are well-known for various things. I believe you can try to ask the administration to be placed in a specific house, but for most of the time, students are usually placed based on space availability and the preferences that they give. As for the room allocation, it’s entirely up to the housemasters. From what usually happens, lower sixers (1st year A-Levels students) are not mixed in the same room as upper sixers (2nd year A-Levels students), unless there are an odd number of lower sixers (‘Cause usually upper sixers get their own single rooms). Thank you so much for your quick response, your blog has been an immense help, full of information for parents and new students joining KTJ. I’m considering to take a levels there next year, but which intake will be better and is there any difference ? Can you roughly describe each girl house? January intakes do their A-Levels in 1.5 year, and August intakes do it in 2 years. That’s basically the major difference between the two intakes. Other than that, everything is pretty much the same. 1. im a muslim , malay , can we wear any kinds of tudung or it needs to be tudung bawal ? 2. does the shoe has a specific requiremnts leathr , or it can be any black shoe ? 1. Any kind of tudung is fine, as long as it’s white without any embroideries or designs. So any kind of plain white hijab is fine, whether it’s tudung labuh, tudung bawal, shawl or pashmina. 4. It is not compulsory, I believe. Back in my days, Sixth Formers (aka A-Levels students) have to have at least 1 club activity, which can be anything. Once you’re there, you can check back the requirements with them. But everyone in the school will have to participate in the annual cross country though. You should be fine to apply, but I’d double check with KTJ if I were you. Best to reconfirm by calling them up! 1. Possibly. Not sure if there are any scholarships for Form 4 students though, you can try asking KTJ. There used to be scholarships (or partial scholarships) for Form 4&5 students for SPM, but there’s no more SPM now so I’m not sure how it’d be now. 2. Yes, there are students from middle-income families. 3. Yes, there are Sabahans, during my time. Not sure about now. 1. What clothes do u guys usually have to wear ? Baju kurung or normal t shirst ? Or like a kemeja ? Do i have to buy a blazer ? 2. I got irinah house btw. Is it close to the surau? What house were u in ? 3. How many student are there usually in a class ? surau downstairs ? Or we pray on our own ? Thanks akak very very much . 2. I was in Irinah as well. And it is the closest girl house to the surau. 3. For A-Levels, around 15-25 students per class. 4. It’s up to you. Some people pray in the surau, some pray on their own in their rooms. Typically the boys go to the surau for Maghrib/Isyak prayers if possible, but it’s not compulsory. It’s about KTJ scholarships. You got a scholarship right? I was just wondering how many A’s did you get for your trial exams which enabled you to get the scholarship? I’m currently having my trial exams and I’m screwed everything up. I didn’t study and I obviously regret it. I doubt I will even get 6As, which is the minimum requirement they state on their website in order to apply for a scholarship. So I’m wondering, what else do they consider besides that? What ‘trial exams’ are you referring to? IGCSE’s trial exams for the scholarship for A-Levels? My interview for the scholarship for A-Levels was alright, since they already knew me and everything. So it wasn’t terribly long or anything, my teachers and the principal knew my background and my academic results and everything so it was a pretty easy thing for me. As for you, you can still try. I’m sure they look into other things as well other than the results, including your extracurricular activities and stuff, so no harm in contacting the school & asking them about it? hi syaza. my name is aida. i’ll be entering ktj in 9 more days in form 4. i would like to ask you a few question such as what do we do after school ends at 3.20….. i’m quite nervous,so is there any tips to fit in since i am going to enter in the middle of the school terms. 1) Hang out with people in your house. Join any interhouse competition, house singing, cross country, netball, etc. Be an active member of the house, talk to people, eat and hangout in the pantry / living room. 2) Get to know your classmates. You’ll be seeing most of them in the next 1.5year, and possibly another 2year if you want to stay for A-Levels. 3) Join and be an active member in an ECA or two. Find one that you like (seriously there’s lots of options in KTJ) and meet people who share the same interests as you do. You will be just fine 🙂 Good luck! and i’ve planned to send her to ktj next year. what subjects will be test on the admission? is only english or math or both of them? or maybe more much subjects? Is it hard enough to pass the test? Is there any indonesian students? What do we need to prepare our daughter so she can pass the admission test? Tq so much. I’m not sure if the admissions test for Secondary 1/2 students would be the same as the one I previously took for Form 4 admissions, but I’m guessing it’s probably going to be Maths/English tests. Better to check with the school itself to confirm it. How if you got a bad-sick? Is there any doctor that could check on you at the time, or you have to wait the doctor came along from KL, instead the school and boarding location is far enough from the main city.. is there any clinic inside the school area? Ooh i’m so sorry dont get your email replied. There is a health centre at the school. Its like a mini hospital. If you are sick, your houseparent will bring you there. If its getting worse, there’s a clinic around 5 km from the school. You will be brought there. You’re new at ktj, right? Someone told me that all the new boarding student will get the bedroom without the aircon? How long it would be? For only 1 term or ? Can we bring an iPad or iPod or iphone or anything gadget? Stumbled on this accidentally. thanks for writing this stuff. Gave me a good laugh thinking about my times back on campus. It was fun. made a lot of life long friends there. Hi, thanks for the great post!. Just out of curiosity here, with 2A, 4B, 4C, what are the chances of being accepted into the sixth form ? Probably best to ask the school themselves, it’s been a while since I left so your best bet is to actually ask the school directly. I’m in the form 4 and got agr8 pt3 results Can I apply ? How u apply ? I think this is not sbp right? And also as u said @ Saturday the form 6 students can outing how bout form 4 or form 5 student? Can we bring any gadget ? Are form 4 student are consider to the title junior ? Hope u will answer asap ? No, this is not an SBP. Please do contact the school about all the application process. Gadgets are allowed, with rules on where/when you can use them. Form4/5 are allowed on outings with special permissions – rarely. No, Form4 are considered seniors. Forms 3 and below are juniors. 2. How does the laundry service work? Does it include your own clothes (not school uniform) and underwear? Do they iron the uniform for you? 3. What is the attire for students after school hours? Can we wear shorts and slippers? 1) I left the school more than 5 years ago, so things might have changed since the time I left (i.e. w/ regards to the house mistress, how students are placed, how each house is different, etc), so I might not be able to answer your first question. 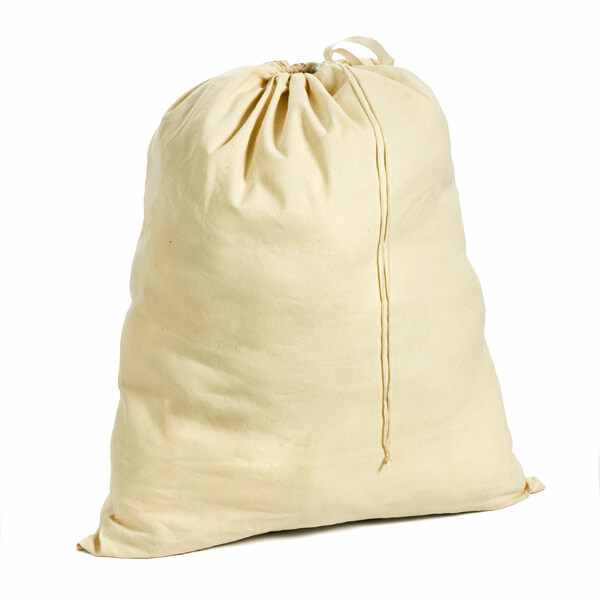 2) Each student is provided with two laundry bags (in the color of your house). Every morning, you can put your dirty laundry (clothes, underwear, even school uniform) in it and drop it at the designated place in the laundry room. There is a checklist that you can mark which clothing items you send off to the laundry each day, and in a couple of days you’ll get your clean laundry back. They’ll iron your school uniform, but they would fold it to put back in the laundry bag for you, so you might have to re-iron the small creases after you unfold them back. 3) Shorts and slippers were fine at my time, so I’m guessing it should be OK too for now. Best to double check w/ current students. 1) Do they teach Malay as a subject? I would like my kids to pick up Bahasa. 2) What other foreign languages options do they have? 3) Any children studying there that did not take boarding package but instead travel daily to school.? Are there any housing areas nearby? if yes, where are they? 4) Does the school organize any sports competition against other schools? Appreciate if could help me out in above questions. Thank you. Thank you for your questions, I’ll try to help out as much as I could. 1) Yes, they have Malay as a language/subject in the IGCSEs stream, so they will be able to learn Malay. 2) I am unsure about other foreign languages in the IGCSEs stream, as I took SPM and did not have any options to learn languages. You may double check with the school, though when I was there, I wasn’t aware of any other languages offered, but they might have changed it since I left more than 5 years ago. 3) Yes, there are ‘day-boarders’ who come to school every day for classes and extra-curricular but do not stay in the school. The closest town is the town of Mantin, which you can look into, or there is also the Staffield golf & country resort area (I know of a couple of teachers who lived there and travel to school daily). Depending on how much travel time you plan to spend every day, Nilai is also quite close, though it is about 20-30 mins drive away. 4) Yes, they participate in the Fobbisea (spelling unsure of) against international schools in South-East Asia. We’ve also had students who compete and represent the state/country in games and sports (recent ones in the Sukan Sea or SUKMA), as well as friendly games and matches with other schools. 1)can we sit for pt3 and also SPM while studying in KTJ? 3)is there any debate competition? 5)if i want to enter ktj , is it dependings on my previous exam result? 1) I believe that KTJ no longer offers the local stream (PT3/SPM) so every student will either be taking IGCSE’s or A-Levels. 2) ‘Mufti’ are basically whatever you want to wear – no uniforms. Hi there, I would like to ask if I were to enroll here for A-Levels, I should pick the lower sixth category, right? But what is the form 5s here called? Form 5 are just that, Form 5. That’s for the O-Levels students (equivalent to SPM). A-Levels are the Form 6 (Lower and Upper Sixth), Lower Sixth being your first year of A-Levels, and Upper Sixth being the second year of A-Levels. I see. Than you for your time. Hey, just wanted to ask what are the entry requirements for A Levels as a Private Student. Thank you for answering to all of our questions haha. Hi Wan Areef, please check with the school on the entry requirements. Hi! Thank you so much for the info on your post! I’m an SPM student this year wishing to apply for A-Lvls at KTJ next year. Is it normal for SPM students to start in August ? I’m assuming everyone else will be 16,17 years old and I’ll be 18 next August. Or do they rush for the January intake ? Glad you found this post beneficial! No worries – a lot of people actually do start their A-Levels in August after their SPM, not that many actually start in the January intake unless (1) they did SPM in KTJ like I did and just continued on with a fast-track A-Levels, and (2) if they get scholarships like Bank Negara, etc to start in January based on their SPM trial results. But the bulk of the intake is actually in August, especially with the IGCSEs students finishing in May/June and starting in August as well, so that’s definitely fine! Good luck for your SPM! Next post	Family, a Story.